Hey Java, Thanks again for hosting us. I'm not going to try, really, really hard to add your button. I think I figured out how to finally do it. Thanks for hosting Java... looks like some great blogs you've posted... Have a great weekend... Hey.. how's the new job going? Have a wonderful weekend, sweet lady! Well, here I am again! Thanks for hosting and I hope you, and yours have a great weekend. Also, thanks again for your help. I'm glad to call you friend! I hope I can return the favor some day! Aloha: Paper, Plastic or Reusable? Happy, Happy Friday! Thanks for hosting this fantastic blog hop party again!!! Have a super weekend!!! Yea, its Friday!! I thought it would never get here. I hope you have a great weekend! Hello pretty lady! I hope all is well with you and your family! 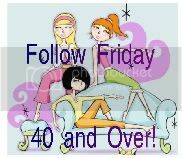 Thank you so much for once again hosting my favorite Friday Follow! I haven't been here in a while, but hope to make up for my absence! This is a lovely blog hop and I appreciate you hosting it! New follower and I think both buttons are on my blog correctly now. Took me a couple of tries. Thanks! What a great idea for a blog!! Just found your blog while visiting others. I love it: Never Growing Old!!! OMG, why did it take me so long to find you all?